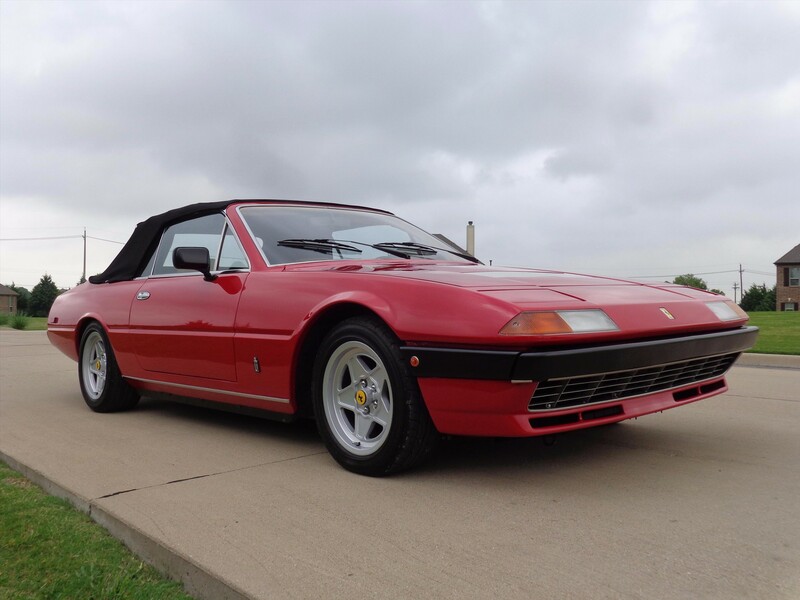 How Does A Rare Ferrari 400i Strama Twin Turbo Sound? The rare conversion is in pristine condition, and looks comfier than a return to the womb. Odds are pretty good that you haven't even heard of the 400i. It was among their single longest-produced models, with production spanning a period from 1972 to 1989. It actually shared a chassis with 365 GT4 2+2 and 412, and was the replacement for the prior 365 GTC/4. This car in particular was one of 883 of the 400 Automatic i model made between 1979 and 1985. Power comes courtesy of a fuel injected 4.8 liter V-12, making approximately 310 horsepower. Its 2+2 lineage can be traced forward to today's Ferrari GTC4Lusso, the successor of last generation's FF shooting brake. No 400s were ever imported to the United States, though some made it in through the grey market. One such grey market cars ended up in Texas, property of an owner who felt it needed improvement. 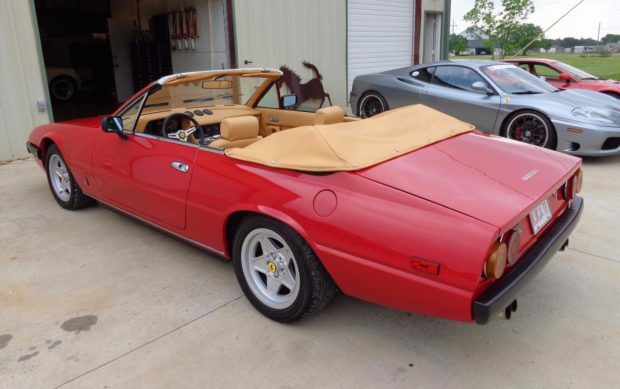 They shipped the car off to a Californian company called Richard Straman Coachworks, a now defunct coachbuilder that specialized in making soft top Ferraris. 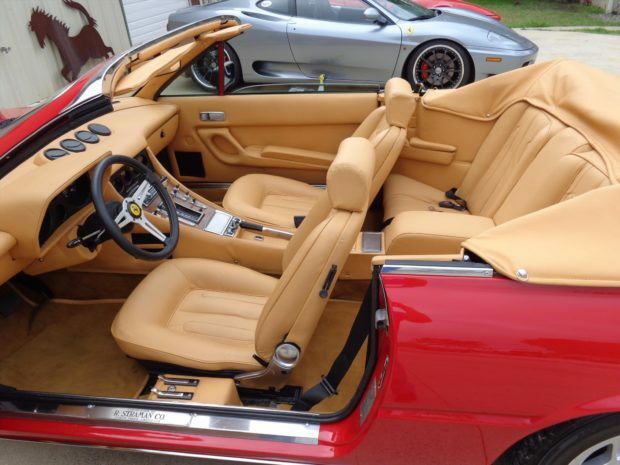 In addition to the removable roof, the owner had a Turbonetics twin turbo system installed. 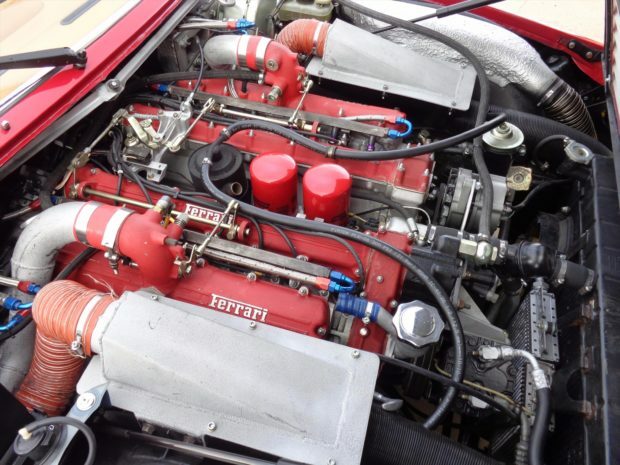 No power figures are provided, but it's hard to imagine this twin turbo V-12 making any less than 400 prancing horses. The Bring A Trailer listing describes a reported $200,000 worth of work done by a Texas collector between 2010 and 2012, with work including a restoration both in an out, from the upholstery to the paint and engine. It has a full paper trail for its work, and mileage is listed as 46,654. 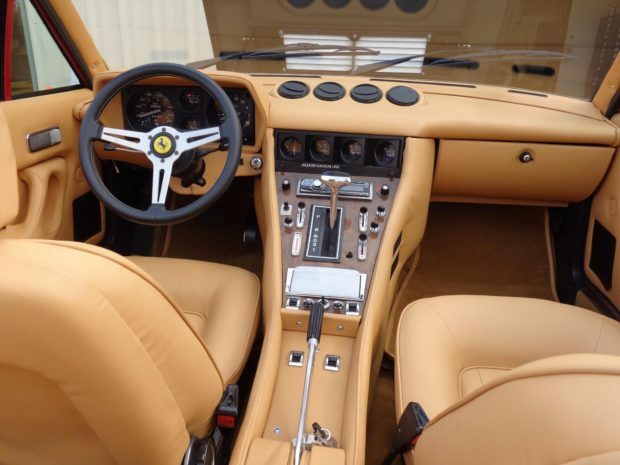 Among the most minor, yet import modifications made to the car is the inclusion of a modern head unit, as no 80s Ferraris are known to have come with an AUX jack or bluetooth connectivity. And of course, being an Italian car, there will be some quaint questionable design decisions, such as what appears to be dual oil filters. There are track days, and then there's the Spa Classic.